Year 2 high schooler. 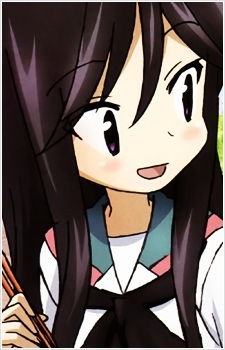 Yuuko has long black hair which reaches to her waist. She speaks in a Kansai dialect. She is poor with scary things, and would sometimes scream and claim that there is a ghost behind her. As she has a generally shy disposition, she is often the subject of teasing by Tooru and Nagi.